JOHN IRVING is Professor of Performance Practice at Trinity Laban Conservatoire of Music and Dance, London, Professor of Fortepiano at the Royal Birmingham Conservatoire of Music, and Honorary President of University College London’s Chamber Music Society. 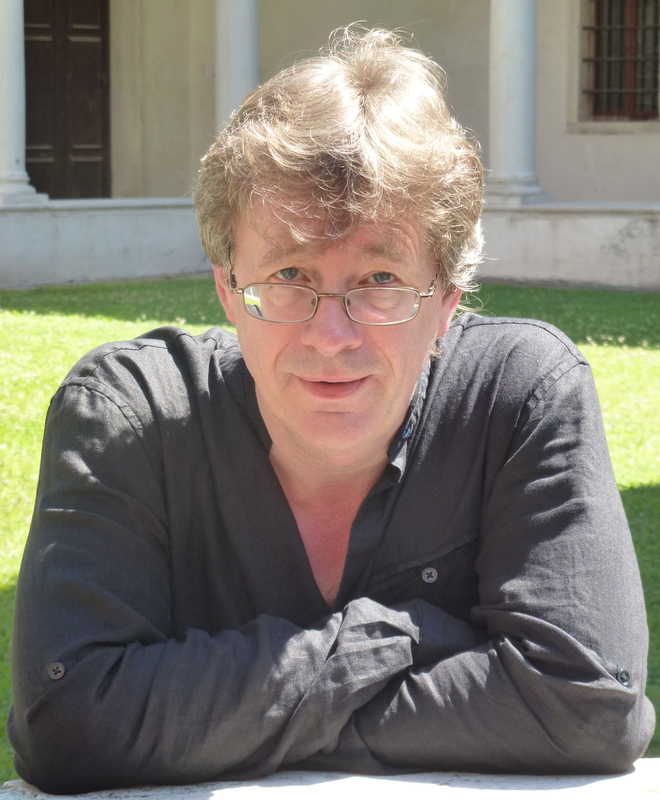 Previously Director of the Institute of Musical Research – the UK’s national music research institution – John has been Professor of Music at the University of Bristol and at the University of London. He now divides his time between his academic work and his performing career as a fortepianist and harpsichordist, and with acclaimed period-instrument group, Ensemble DeNOTE at venues such as St. John’s, Smith Square, the Barbican’s Milton Court, and the Valletta International Baroque Festival. His CD recordings have garnered 5* and 4* reviews. He is a regular expert speaker for Martin Randall Travel and The Cultural Travel Company, leading recent visits to Salzburg and Stockholm. John is an internationally recognized Mozart scholar. He has published five books on Mozart, including an internationally best-selling biography, The Treasures of Mozart, and scholarly texts on Mozart’s Piano Sonatas and Concerti. Most recently, he has been involved as author and performer in The Mozart Project – a multi award-winning digital book for iPad. He is also a performer, specialising in 18th-century historical performance practice as a fortepianist, clavichordist and harpsichordist. His recent performances include appearances at Brighton Early Music Festival, LSO St Lukes, The Guildhall School of Music and Drama and King’s Place, London; a recital in the ‘Intimate Encounters’ series at Clare Hall, Cambridge; the North York Moors Music Festival; Petersham Festival; Tudeley Festival; and at the Greenwich International Early Music Festival. His latest CD recording project (released in May 2015) is Beethoven and the art of Arrangement (with Ensemble DeNOTE) – an exploration of two Beethoven self-arrangements for Piano Trio, Op.38 and Piano Quartet, Op.16. His previous solo CDs include a Mozart programme on a historic clavichord dating from 1763 in the Russell Collection, University of Edinburgh, supported by The British Academy. In addition to his academic work, John is a performer, principally of classical chamber music with Ensemble DeNOTE. A preview from Ensemble DeNOTE’s DVD on Mozart’s ‘Kegelstatt’ Trio, K.498 for Clarinet, Viola and Piano is available here. The full documentary may be seen on iTunesU. Besides research and performance, John’s career has also included many management positions in national music organisations, including his present appointments as Vice President of The Royal Musical Association and Trustee of the Horniman Museum, as well as being a member on various advisory boards, such as the British Library Journal. He is an Associate Fellow of The Institute of Musical Research, a Fellow of The Royal Historical Society and a Fellow of the Royal Society of Arts. In December 2014 he was elected a Senior Fellow of The Higher Education Academy. Some recent publications can be viewed via Trinity Laban’s Research Open Access Research Repository. Outputs from John’s recent research project, “Mozart on the Hass Clavichord” (a British Academy funded project exploring the performance of Mozart’s keyboard works on the clavichord) comprise a CD recording released on sfzmusic in 2012 and an associated web resource (www.mozartclavichord.org.uk). He has also written a chapter on eighteenth-century musical topics and historically informed performance for forthcoming Oxford Handbook of Topic Theory (2014). As a performer on fortepiano, clavichord and harpsichord, he specialises in 18th-century solo and chamber music repertoires. His latest solo CD recording, Mozart on the Hass Clavichord, features Sonatas, Fantasias and miscellaneous early works played on a historic clavichord dating from 1763. Released in early 2013 on sfzmusic, the CD and associated website, www.mozartclavichord.org.uk were funded by a research grant from The British Academy. John’s CD, Sonatas from the Court of Salzburg – also on sfzmusic – consists of various works recorded on a Johann Adolphe Hass harpsichord of 1764. Recent and forthcoming solo and chamber music appearances include Milton Court, Barbican Centre; King’s Place; LSO St. Lukes; Greenwich International Early Music Festival; the Brighton Early Music Festival; North York Moors Chamber Music Festival; Newcastle Early Music Festival, Canterbury Festival; Holywell Music Room, Oxford; St Cecilia’s Hall, Edinburgh; Turner Sims Concert Hall, Southampton; Clothworkers’ Centenary Hall, Leeds; the Cobbe Collection, Hatchlands; Finchcocks; ORPHEUS Instituut, Gent; Royal Irish Academy of Music, Dublin; Fondazione Cini, Venice; Conservatorio della Svizzera italiana, Lugano; and Valletta, Malta.